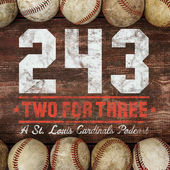 It’s been close to three years since I did the first look at the various Cardinal podcasts that exist and, even though I did an update about a year and a half later, some recent changes to the podcastsphere (I don’t think that’ll catch on) and the fact that it’s the beginning of a new season made me think that another look at these was warranted. As always, I don’t guarantee this is an exhaustive list. I’ve left off some that may just be inactive, though it feels like podcasts (like blogs) rarely return after an extended hiatus. I wanted to get some feedback from listeners to include in this post, but my survey from a couple of months ago got minimal response. Instead, when I can, I’ll list out the iTunes rating with the number of folks giving feedback. I say this every time, but please, if you like a show on here, give them some feedback. Usually rating a show (and especially writing a review) helps others find it plus it lets the hosts know what they are doing is being enjoyed. If you have criticisms (reasonable ones, of course!) I expect everyone here would also like to here that as well. They want to do the best shows they can. Even after you’ve rated and reviewed, occasionally drop them an email or a Tweet to let them know you are listening! All right, this isn’t about the intro, it’s about the shows. Let’s get at it. You can go directly to a podcast’s iTunes, Google Play, or Stitcher page (if they have one) by clicking the respective logos under the title of the show. They should open in another page so you can do that and not miss a beat here! 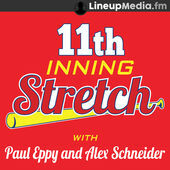 One of the shows on Lineup Media.fm’s network, Paul Eppy and Alex Schenider will not only talk about the Cardinals but everything else that has been going on in baseball over the last week. They’ll also toss in some Facebook Live work on their page during the week, so you probably should follow them on Facebook if that’s an interest to you. It’s a weekly show that during the season will break down the upcoming series as well as taking a look back at what happened. In the course of working in St. Louis media, most notably FOX Sports Midwest, Brad Straubinger has accumulated contacts and conducted interviews with a number of notable personality. Like the show title says, you are going to find more than just baseball conversations here, but there’s enough Cardinal-related content to make it a worthy addition to this list. If you are a fan of the interview style of show, this is going to be right up your alley. When you are talking about Cardinal podcasts, this one is usually going to be at the top of the list given the reach of the folks involved in it. It feels like BPIB is now really in a third iteration. It started with Derrick Goold and Bernie Miklasz, as you know, and then moved to Goold and Benjamin Hochman. While Hochman’s name is still on the logo, it’s very rare when Goold is accompanied by his nominal co-host these days. Instead, it’s more Derrick’s show with a rotating co-host (Hochman, Ben Fredrickson, Rick Hummel, etc.) but there’s still the solid Cardinal information you would expect from the local beat writer and the occasional tidbit that doesn’t make the paper. 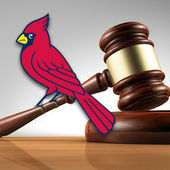 New since our last update, Bird Law is one of those at the top of my regular rotation. 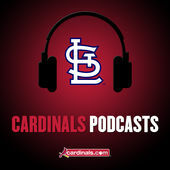 Rusty Groppel and Adam Butler have a laid-back style as they go over what’s been happening with the Cardinals and what might be coming up next. The guys typically record weekly and the shows last around an hour. With a new season upcoming, the guys have some things planned including a segment where they tackle the things thrown their way by the listeners. Bird Seeds is a little different animal than the other entries on this list. Instead of being audio only (which, for many of us, is a gift we give our audience), Tara Wellman brings her TV background into play with a video blog that combines Cardinal discussion and analysis with great production quality. With her recent move to the Birds on the Black blog (more on them in a second), Tara’s added a few projects into the Bird Seeds feed, including a planned regular morning recap of the night before’s action. There will be plenty of Redbird talk here, you just have to be at a place where you can watch it. This is a pretty all-encompassing feed, which makes sense coming from such a dynamic group of bloggers and content producers. You can find StlCardsCards chatting up folks, including the “Relatively Speaking” subset that talks to relatives of the Cardinals. 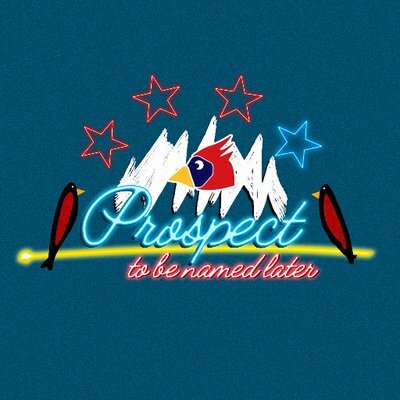 You can find the audio from Kyle Reis’s legendary Prospects After Dark Periscope chats. In the past, Joe Schwarz and Zach Gifford have gotten together to talk pitching and I wouldn’t be surprised if that happens again. It’s a buffet of options for your listening pleasure! 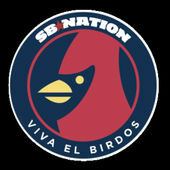 This is the “official” podcast of the Cardinals, coming out of the auspices of Major League Baseball. 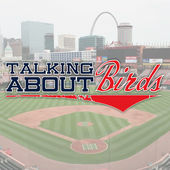 Typically, it’s a short (5-10 minutes) talk with Jenifer Langosch, the MLB.com Cardinals beat writer, though during the winter the Cardinal Hot Stove League programming from KMOX gets added to this feed. There’s plenty of interesting stuff from names you know on here and it’ll quickly cover what’s been happening on the field. Another newcomer to the podcast scene, FOX Sports Midwest sideline reporter Jim “The Cat” Hayes brings, as he puts it, “regional cable journalism to the podcast form” as part of the InsideSTL network. 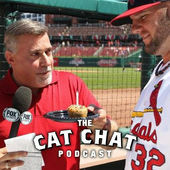 The Cat interviews Cardinals from both past and present and talks to them both about the game and what’s going on off the field. The shows usually run about 30 minutes, including live reads from his sponsors. If you enjoy the pregame talks Jim does, you’ll love these longer-form versions. 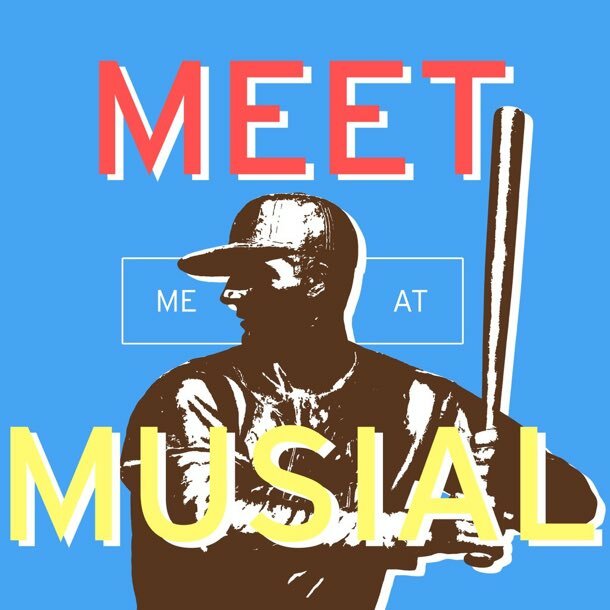 This is my original podcast, set up to talk with bloggers of the Cardinals or of any other team about how they got into baseball and into blogging plus some comment on current events. With the other two shows that I do, I don’t get around to this one as often, though there have been two new shows in the past couple of months. It’s not likely to be as updated during the summer as the others on this list, but if you are subscribed you never know when one might pop up. 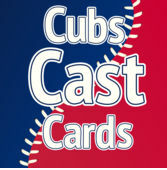 One of two shows on this list that plays off the natural rivalry between St. Louis and Chicago, Cubs Cards Cast pairs Dan Curry, a Cardinal fan in Chicago, with John Pearman, a Cubs fan living in the Lou. They typically get together every week during the season to talk about their respective teams and what is going right and wrong for each squad. As you can imagine, the weeks that have the two teams meeting up give them a lot of ammunition for discussion and trash talking. It’s a great look at a great rivalry. 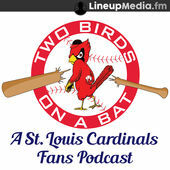 Every week, two of the Best Fans in Baseball (TM) bring you all the news and analysis you need about the St. Louis Cardinals. At least, that’s what Tara Wellman and I put in the decription of every Gateway episode. Now starting its eighth season (but only the second away from Blog Talk Radio), Tara and I get together on Sunday evenings and do about 30 minutes on what happened in the past week and what might be around the corner. It can get occasionally goofy, though neither of us have broken out into song. Yet. I have to admit, this is one I’ve not been able to listen to much yet. 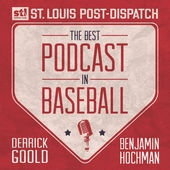 It’s a new podcast on the STL Podcast Network that has Clay Beyersdorfer (from The Redbird Daily) and Matt Berger talking all things St. Louis. Given the nature of sports in the area, that means a large bit of time is focused on the Cardinals, though they’ll also tackle the Blues, college sports, and really anything sports-related at all. 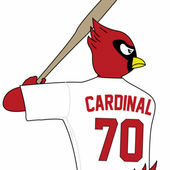 If you like your Cardinals mixed in with some other topics for seasoning, give this one a try! This is the final time you’ll see me listed, so you are safe after this. 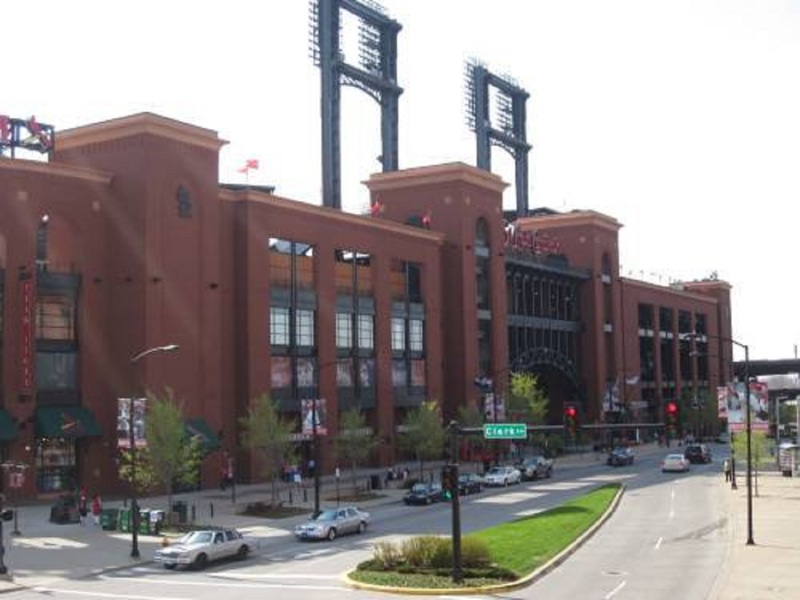 Allen Medlock and I get together every weekend (usually Friday but it depends on our schedules) to do a recap and a look forward while tackling the issues that are occurring in Cardinal Nation. Allen’s stuck it out longer than my first two co-hosts, so whether that means he’s dedicated or crazy is left up to our listeners. We sometimes run long but we try to keep it in the hour, 1:15 time range. 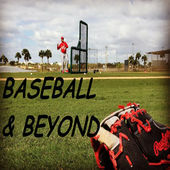 There are a lot of podcasts on this list but PTBNL is unique in the fact that it focuses pretty much entirely on the minor league system of the Cardinals. 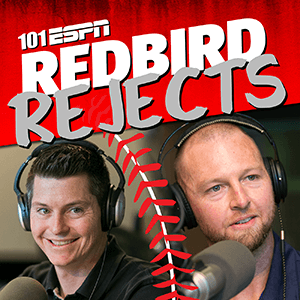 Colin Garner from The Redbird Daily and Kyle Reis of Birds on the Black come together to talk about prospect rankings, how players are performing, and what the future of the Cardinals might look like. Listening to Kyle and Colin will have you much more informed about what is coming up through the pipeline. From the staff of the Fansided blog comes a live call-in show on Blog Talk Radio that later is pushed out as a podcast. Voices such as Dr. Michael Miles, Tito Rivera-Bosques, and others from the Rants deep staff of writers will talk about the Cardinal issues of the day. With the season coming, their plan is to put out two shows a week, both of which will run roughly an hour-plus. This is probably the biggest crew of any of the podcasts as usually the shows have three or more voices participating. There’s not many shows that get you a former Cardinal, yet that’s all this one is made up of. Brad Thompson and Chris Duncan, who both had short but memorable careers wearing the Birds on the Bat, talk about all things Cardinal. It’s a weekly show, though its future is perhaps a little murky with the news that Duncan is stepping away to deal with a cancer diagnosis. Still, if you want some information in the way only former players can present it, this would be the show for you! This show has six episodes and already probably has one of the biggest podcast audiences out there. 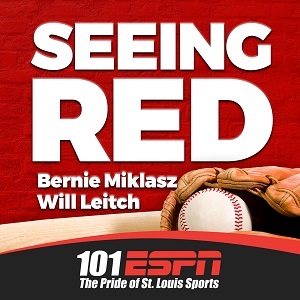 That’s what happens when you combine St. Louis media legend Bernie Miklasz and writer extraordinaire Will Leitch into a weekly show. The show isn’t shy about getting into what fans are thinking and where they may be right (or wrong). You’d think the combination of these two would take some time to mesh but it seems to have instantly gelled and is at the top of the list for a lot of fans. This is the newest of the new shows, just putting out its debut within the last week as I’m writing this. I expect that this group won’t stop at just one, however. 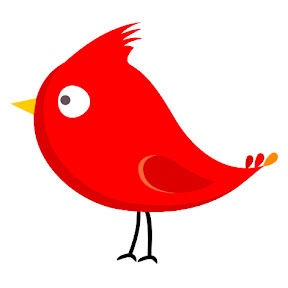 Steven McNeil, Erik Neff, and Brian Swope team up to talk about the Cardinal news of the day and what may be coming down the pike. Given the nature of the site, it’s possible this show will branch out into both hockey and pop culture, but we’ll have to wait on future episodes to see what develops! I swear I didn’t kill this show. Even though I was on last year at the All-Star Break and even though Nate Heininger and Ben Simorka haven’t recorded since then, I assure you that’s completely a coincidence. 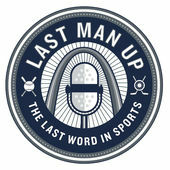 The guys assure me they plan to get back in the studio soon and I hope they do, because their weekly blend of breaking down the series that happened as well as all the other news and notes from the Cardinals and from around baseball has been one of my podcast staples for a long time. 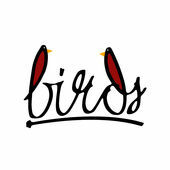 There’s a new season coming so perhaps Talking About Birds will return as well! This is a show that I’ve just recently come across thought it has been out there for over a year. 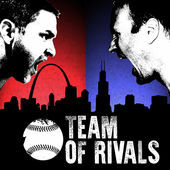 Team of Rivals brings together two Cub fans (Pete Geddeis and Elliott Duy) with a Cardinals fan (Ron Nuttall) to talk about what each team is going through and to engage in some good-natured trash talk as well. The guys record on YouTube, so you can watch the shows or download them later in an audio version from the usual sites. As with Cubs Cards Cast, the fact that the rivalry is now more even makes for some passionate discussion. While Jim Cromer and Steve Flowers are the two creators of this show on Lineup Media.fm’s network, they’d be the first to tell you the real draw is former big league catcher Bengie Molina, who brings his upbeat personality, his big league experience, and his family relationship to a Cardinal icon into play. The three record twice a week and react to all the Cardinal goings-on. They also are regularly joined by the Twitter user Moz_Algorithm who adds a statistical flair to the proceedings. Another fairly new show, this one has the production advantage of host Moose Michaels being a radio/voice-over guy. 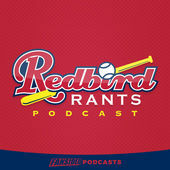 It’s a quality listen as twice a week Moose talks about the Redbirds and what all is going on. The shows typically run about half an hour or so, which means they are a quickly digestible snapshot of the state of Cardinal Nation. 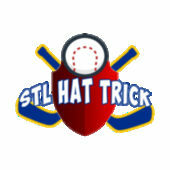 The biggest Cardinal blog on the internet of course has its own podcast. If you go back far enough you can find various site managers involved, but right now John Fleming and Heather Simon hold down the hosting duties. The weekly, hour-long show will sometimes have guests, sometimes have things like a draft of Cardinal-related things, and almost always have trivia and references to Heather’s dog Cain. That’s a pretty solid list, though I don’t guarantee it’s complete. Still, if you are needing some Cardinal talk in your life, there are a lot of great options above. Go subscribe to some of them. If nothing else, it’ll help you know who to go argue with on Twitter! Previous Post: Hicks Contracts Minor League Time, But Is That Wise?